As the season transitions from one to the other, we are reminded of the need to prepare for change. Just as all seasons are uniquely beautiful in their own way, change can be a turning point in a direction that gives you a closer look and a better perspective on a part of life you never knew existed. Embrace change and adjust to the transition your mind and body are making. Give it what it requires and you may find that in some ways you are better, wiser and healthier than you have ever been. Help your parents with their life's transition. Sometimes all that is needed is to be there. Help them feel included in your activities even if it means just telling them a lively and funny story to perk them up and showing them the photos you took just for them. Help them look at life from their new perspective. Learn what it feels like to be in their shoes. Empathize and most of all keep a healthy sense of humor. 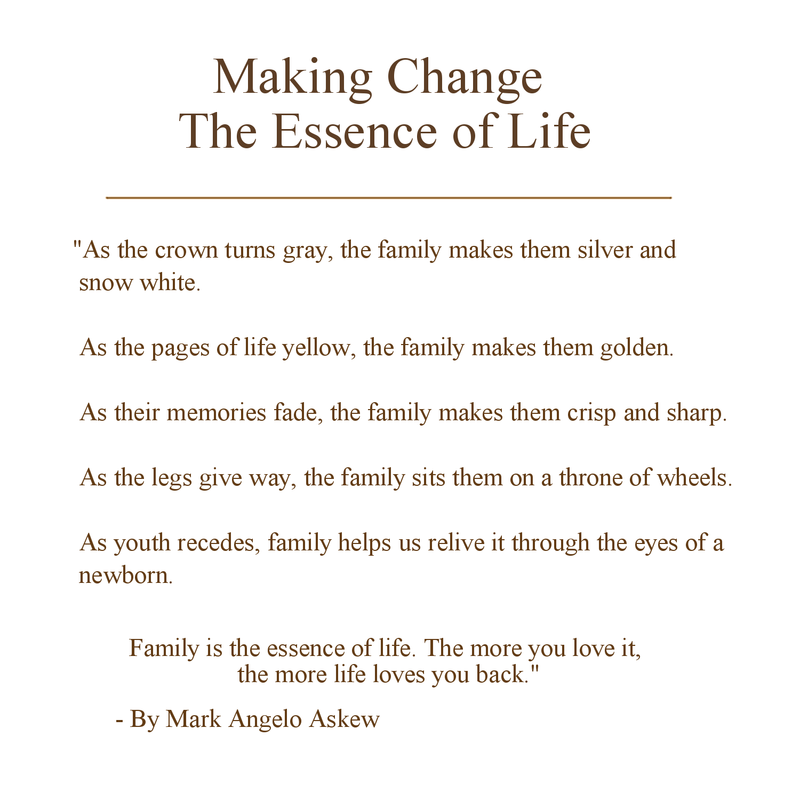 Family Reunion Poem "The Essence of Life"
"As the crown turns gray, the family makes them silver and snow white. As the pages of life yellow, the family makes them golden. As their memories fade, the family makes them crisp and sharp. As the legs give way, the family sits them on a throne of wheels. the more life loves you back." 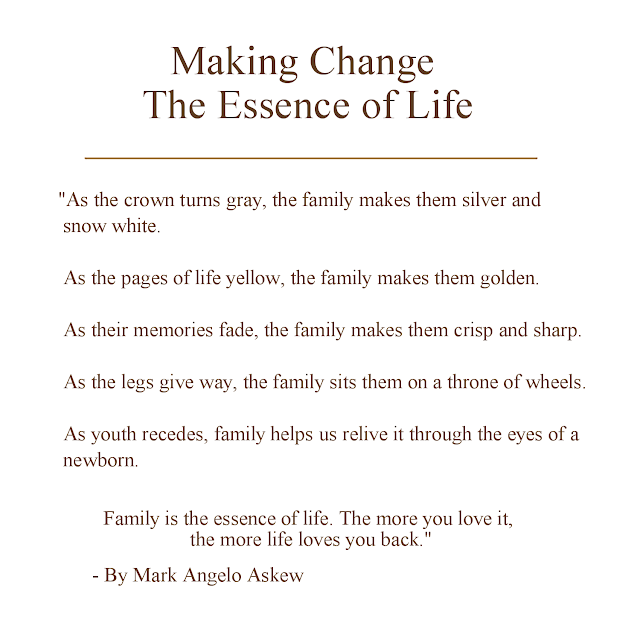 The family is the essence of life. The more you love it, the more life loves you back. Celebrate your family. Family reunions set the spark of life aflame once again. Start planning your family reunion using our most popular web app.